This exclusive week of crafting and creativity will take the form of several instructor led sessions, focussing on a different subject each time. The group will be small, therefore allowing some flexibility in exactly what you as an individual would like to work on during that particular session. If you’d like to snap up one of the two remaining places please get in touch straight away. 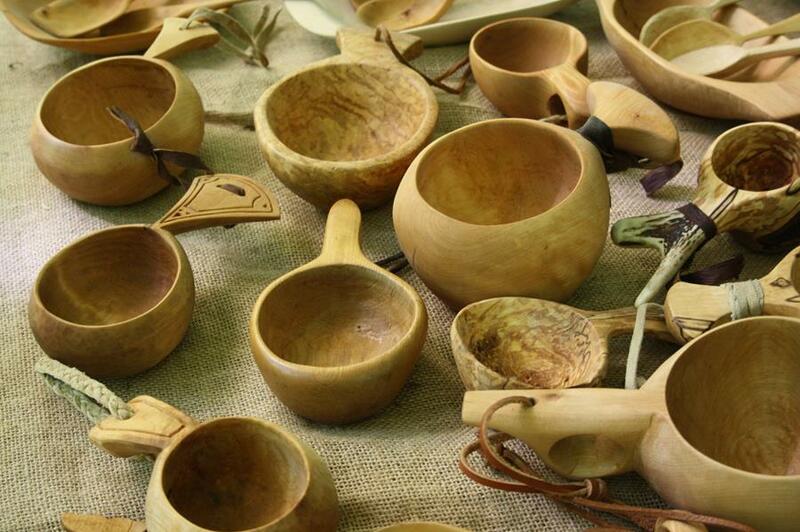 Places on the Bush Crafts week will be allocated on a first come, first served basis. Check out our Facebook Gallery from last years course here. 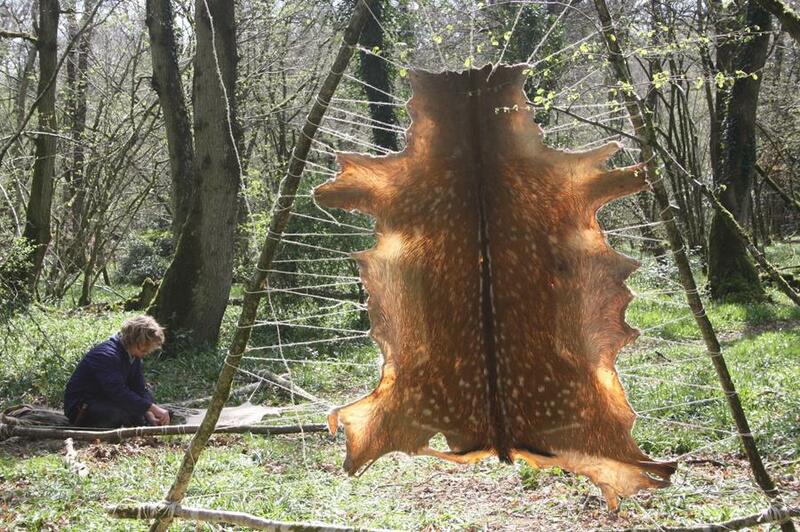 Subjects will include traditional hide working, bark work, wood working, leatherwork, basketry and weaving. Working on a particular craft, delving deep into your creative side deserves time and total focus. This approach will feel less structured, more casual. 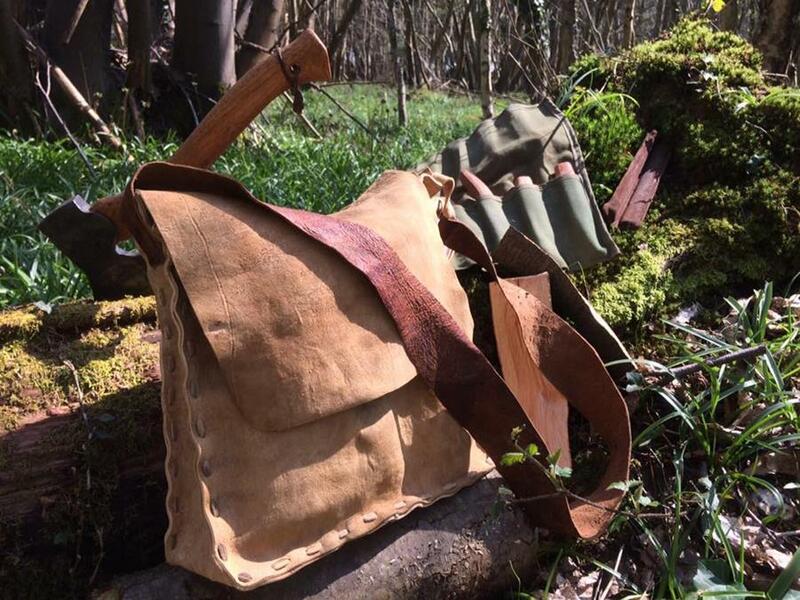 So, for example during the leatherworking day you may be keen to make a haversack or several pouches or a belt pouch or a knife sheath or even a new mask for your axe. The choice would be yours and all materials and tuition would be hand to help you achieve your aim! Bark work – 1 day - You’ll be shown which trees are willing to give up their bark and how to harvest it. 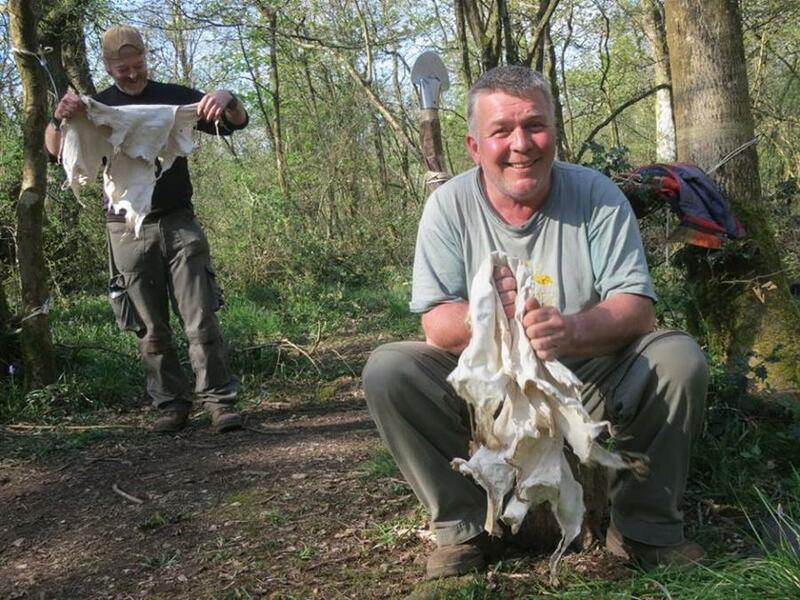 Whilst some barks can be cut in a certain way to be joined, others will need to be stitched, glued or pinned meaning that you’ll also learn about making natural cordage from plant fibres, green stems and flexible roots, natural glues found in the woods and carving techniques to make lids and stiffened rims from green, seasoned and steamed wood. 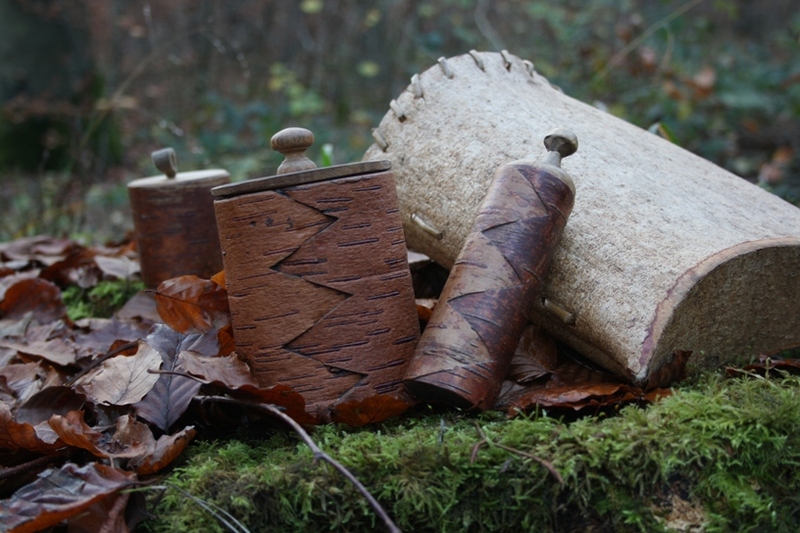 We can make anything from small birch bark containers with push fit wooden lids and bases, to larger, thicker ash bark foraging bags, boxes, even arrow quivers with plaited rush straps. The ability to craft such useful containers quickly using only locally found, natural materials is an essential bushcraft skill. 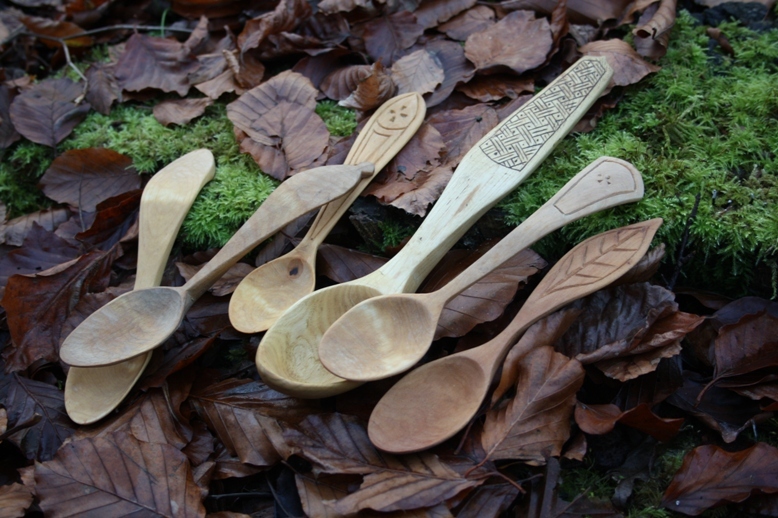 From a crafts perspective, bark is a fantastic material to work with. Made from several layers, each with their own texture and shades, your containers can be both practical and beautiful! Basket weaving – 1 day - Learning to weave willow and other hedgerow materials together to make a lightweight but strong container is a fantastic skill to possess. Frame baskets are fantastic for foraging wild foods. The woven structure allows your hedgerow harvest to breathe and the rigid frame offers protection as you roam through the woods. Many different materials can be used in addition to traditional willow, such as clematis vine, honeysuckle, ivy, brambles, hazel and even roots from coniferous trees meaning that you should be able to quickly knock up a useful basket from local materials in most outdoor environments you visit. 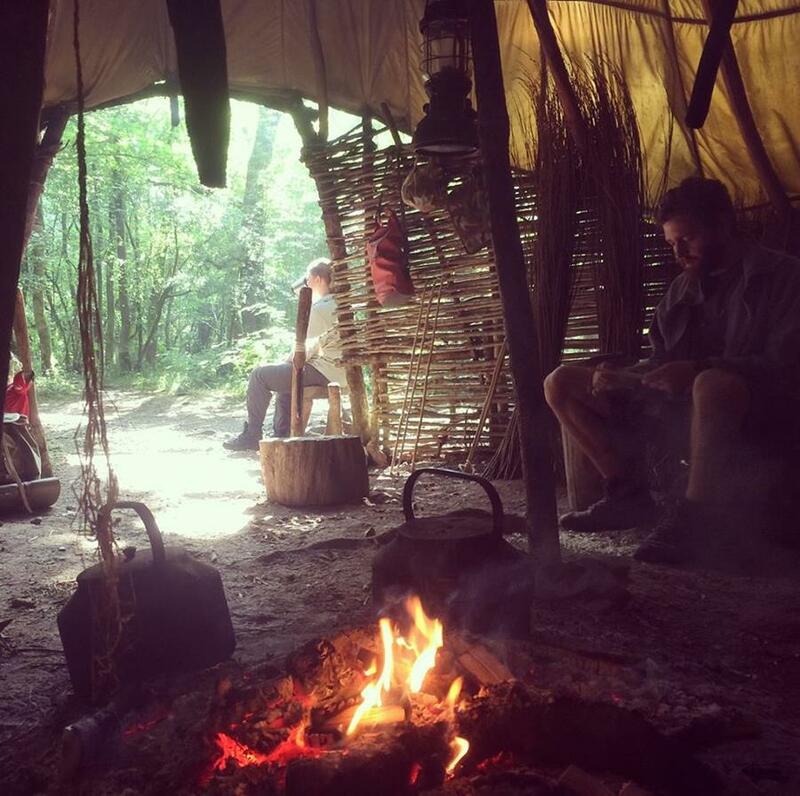 If the week is too long for you and you'd prefer a shorter creative experience in our ancient Wiltshire woodland check out the Bark Boxes, Bags & Containers workshop coming up at the end of this month, April 27th - 28th.